TrueTear™ is the latest in cutting edge technology for the treatment and management of Dry Eye Disease. 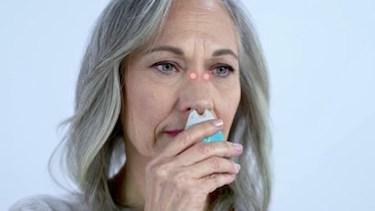 It is a treatment that is unlike any other to date. Until now, eye care physicians have been limited to using supportive treatments, supplements, drugs and/or procedures to help manage Dry Eye Disease. TrueTear™ uses a totally new treatment strategy called Neurostimulation to address Dry Eye Disease. The neurostimulation approach with TrueTear™ is a proven technology that is used in well know devices like pacemakers, cochlear implants and TENS Devices for chronic back pain. 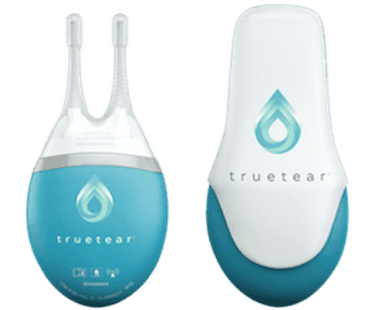 TrueTear™ is the first and only neurostimulation device for the treatment of Dry Eye Disease and is FDA approved to safely stimulate the nerves that supply the Lacrimal Function Unit (LFU); which is the part of your eyes that supplies the natural, healthy tears that keeps our eyes moist, comfortable and clear. The LFU is very complex, with multiple components and parts that can become damaged and breakdown in the Dry Eye Disease cycle. Past Dry Eye treatments usually focus on helping one or a few of the damaged parts only, but TrueTear™ has the ability to help the entire LFU naturally. It does this in a drug free way that basically turns your eyes natural tear system back on. At this time, it is unsure if TrueTear™ will replace some previous treatments, but it is certain that TrueTear™ will enhance the effects of all Dry Eye Disease treatments and may improve patients who have reached a plateau or a block in their current treatments. Because TrueTear™ is so new, and because of its revolutionary approach, the availability to physicians is limited at first. Book your appointment online today or give us a call at: 616-457-0760.